If you’re reading this, you’re probably entertaining the idea of getting orthodontic treatment as an adult. Should I get braces at age 30? 40? What about 80? The simple answer is that if it will improve your long-term health, then yes. With more adults seeking braces than ever before, now is a great time to put it into consideration. It’s important to understand, however, the treatment options, commitments, and costs of the process beforehand. When it comes to adult braces, there are four main options to choose from. They all vary in cost, visibility, speed, and ease of use. Take a look at the chart below to see what sounds best for you. Customize color to make them less noticeable. Heat activated archwires move teeth with more speed and less pain than in the past. Usually the least expensive option. Ideal for people with serious bite problems or very crooked teeth who want straight teeth as fast as possible. Identical to metal braces but, have clear or tooth-colored brackets. Much subtler than metal braces. Faster results than Invisalign. Cost more and break more easily than metal braces. May stain easily without proper care. Similar to traditional metal, but archwires and brackets are applied to the back of the teeth. Cost; difficult to maintain; ineffective for serious cases; initial discomfort; adjustments are more difficult and time-intensive than with metal braces. 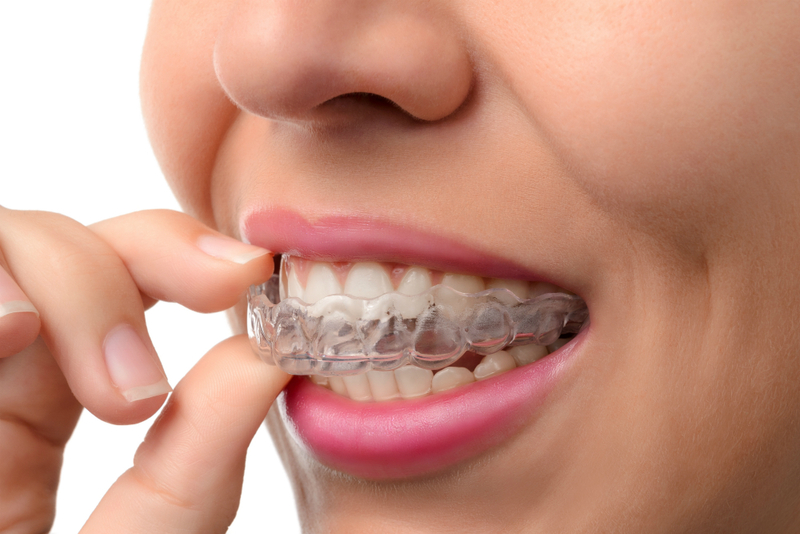 Your orthodontist will make you 18-30 customized clear plastic aligners that resemble a mouth guard. You'll put in a new mouthpiece every couple of weeks. Almost impossible to see; no wires or brackets; no food restrictions; easy to clean teeth. This option is especially attractive to adults because they can brush, floss, and eat normally. Not effective for severe cases; cost; don't straighten as quickly as other options; can be easy to lose and expensive to replace. The average treatment time for adults is 24 to 30 months, compared to 18 to 22 months for adolescents. Beyond that, you’ll have to follow an aftercare program set by your orthodontist in order to make sure you get the most out of your treatment in the long term. As if keeping up with health trends and diets wasn’t hard enough, unless you choose the Invisalign option, you’ll have to pay more attention to your eating habits. Sticky, chewy foods can get stuck in your braces and make them difficult to clean or cause damages that can be expensive to fix. That means no more bread, popcorn, and Starbursts. Additionally, you’ll have to keep a toothbrush close at hand to clean your teeth after all your meals, including lunch. Adapting to these new habits can be a transition, but it’s completely doable, and it will keep you from having to come back to the office to get your braces fixed. Wearing a retainer every night can seem like a hassle. But failing to wear it can lead to the teeth moving and once again becoming crooked, which means that all your hard work will go to waste. This is one of the main reasons why adults need braces when they are older, so be prepared to follow your dentist’s aftercare advice to the best of your ability. Whatever type of braces you choose, you will have to put aside plenty of time in your calendar for checkups, as it takes longer for adults than children to achieve a straight smile. While it depends on the severity of your case and how well you follow your treatment plan, most orthodontic treatments for adults end up costing around $5,000. Unfortunately, the majority of dental insurance plans won't cover braces for patients 18 years of age and older. For this reason, you might want to consider investing in a dental discount plan that will reduce the cost of your braces. While it can seem like a significant amount of money, the serious health risks posed by some dental issues and the overall positive effect that a healthy smile can have on quality of life causes many adults see braces as a valuable investment in their long-term health. 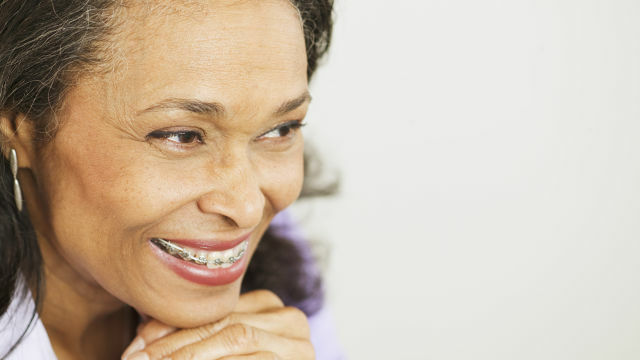 Investing in braces as an adult has never been more affordable or convenient. With so many discreet, effective options to choose from, now is the perfect time to make a commitment to improving your oral health. Schedule a free consultation with us here or by calling (541) 848-6642. Read our last blog, “Thinking About Getting Braces (Part 1)” for information on the many benefits of investing in braces and to see if orthodontic treatment is right for you.